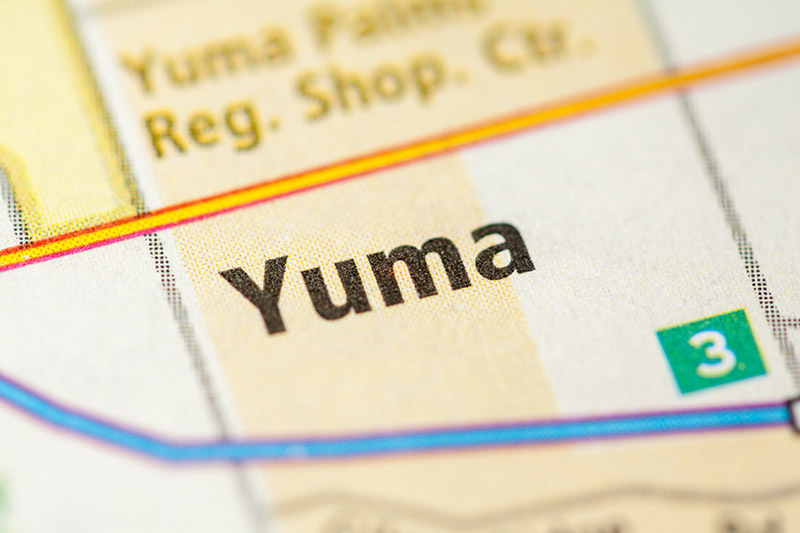 Yuma, Arizona—An as-yet unidentified six-year-old boy was seriously injured in a t-bone crash at Avenue G and County 19th on Wednesday morning. A Ford minivan collided with an SUV, causing damage so substantial to the minivan that the young boy was trapped inside it. Fire department accident responders used jaws-of-life to remove the boy from the vehicle. He was flown to Phoenix for treatment of his injuries. Five other people were transported to the hospital by ambulance.